Suspended in the middle of the North Atlantic Ocean, the Azores are as far off the beaten track as it’s possible to be. 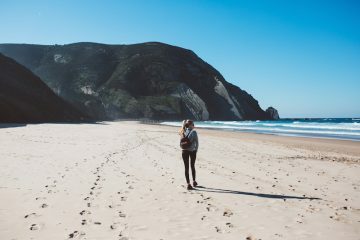 Home to mist-shrouded peaks and bubbling hot springs, hidden crater lakes and steaming fumaroles, the nine volcanic isles that make up this little-known Portuguese archipelago are as impressive as they are remote. But, staggering though the scenery is, it’s not there just to be admired. 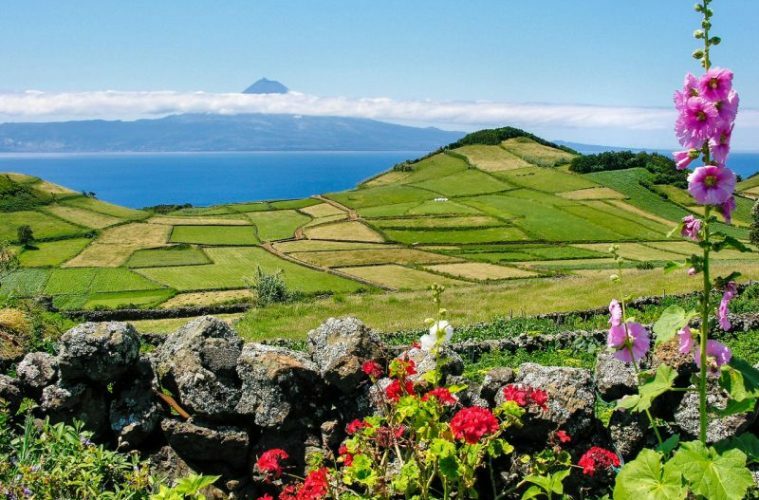 No, in the Azores, nature has a job to do. 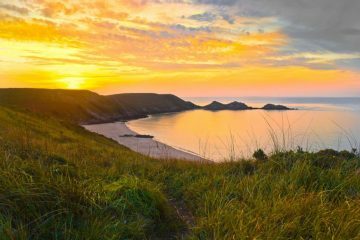 This is a place where the seismic lands heat your bath and cook your dinner, a unique way of life that’s easy to get wrapped up in. We got together with holiday company Inntravel to hear about the four most unique adventures to experience in the Azores. 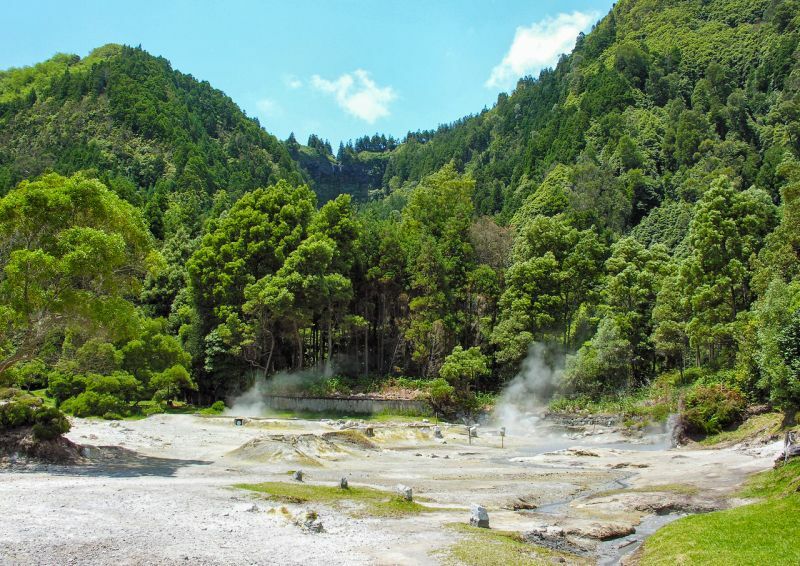 To get the best of this stunning region, I recommend that you head to Furnas – a spa town set within a huge volcanic basin on the archipelago’s largest island, São Miguel. 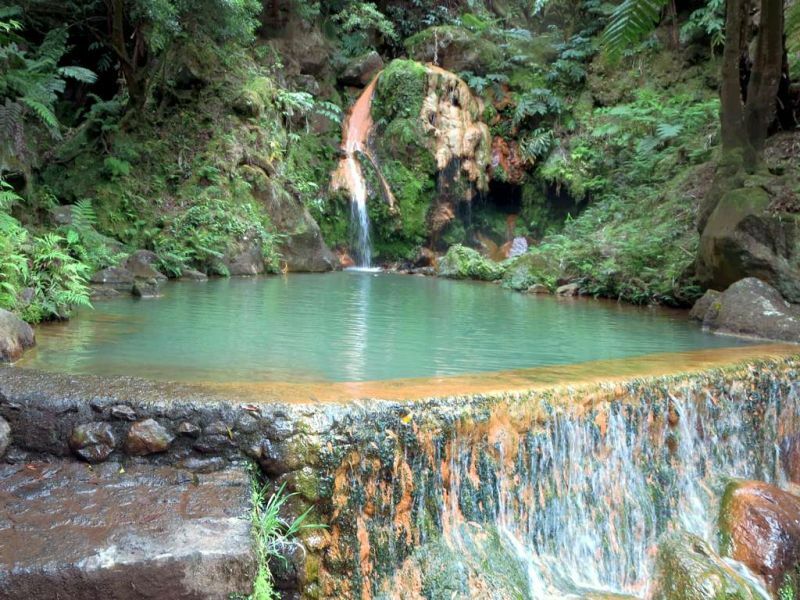 There are over 30 hot springs and geysers in the town itself, as well as some sublime subtropical gardens with a remarkable geothermal pool. It’s the perfect place to feel truly immersed in nature. If you leave Furnas on foot, you can join a path that climbs through intensely green woodland and winds down through open meadows to reach Lagoa das Furnas, a ridiculously beautiful caldera lake. Beautiful, yes, but not the main attraction; that distinction belongs to the nearby fumaroles – volcanic vents which huff and puff… and cook your next meal. The island’s residents and restaurateurs have been using these fumaroles as natural ovens for centuries, lowering pots packed with meats and vegetables into the ground early in the morning, and then returning to retrieve them around six hours later once the ingredients have been cooked through by the volcanic vapours. Known as Cozido das Furnas, this traditional stew is São Miguel’s most iconic dish. Time it right and you should arrive just as the pots are being hoisted up from beneath the earth’s surface – a unique and unforgettable sight. For something to wash your cozido down, just head up the road to the Gorreana Estate, Europe’s oldest (and, for many years, only) tea plantation. 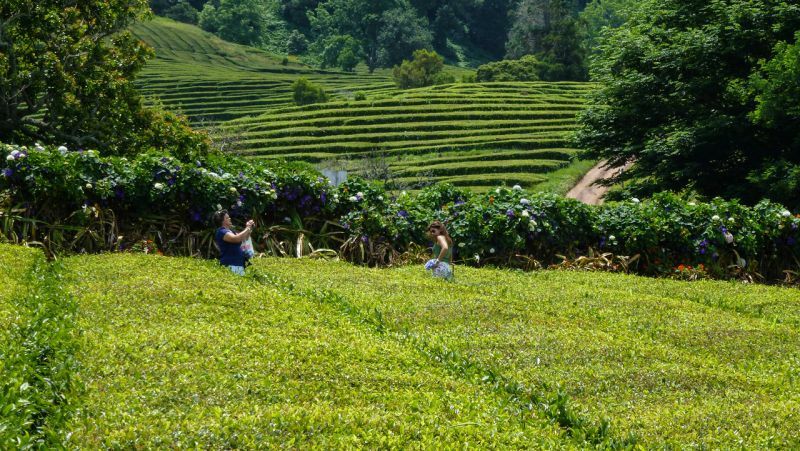 High-quality teas have been produced here since 1883, with the island’s distinct climate, rich volcanic soil and remote location all playing starring roles in the Estate’s success. Just under 900 miles west of mainland Portugal, there is no need for any kind of pesticide, meaning the teas are as environmentally friendly as can be, as well as utterly delicious! Culinary wonders aside, the opportunities for adventure on the Azores are limitless: the walking terrain is unbelievably varied; you can go canyoning, kayaking and mountain biking; or even take to the waters for a spot of whale watching. In fact, it’s often difficult to believe this dramatic archipelago is European at all, but with flights from the UK taking less than four hours, the Azores offer the perfect blend of surprisingly easy accessibility and uncharted exoticism. Want a unique adventure in the Azores? 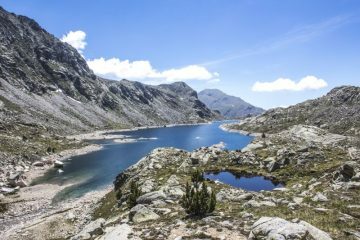 Self-guided holiday specialists Inntravel offer hundreds of walking and cycling trips throughout the unspoiled corners of Europe and beyond. 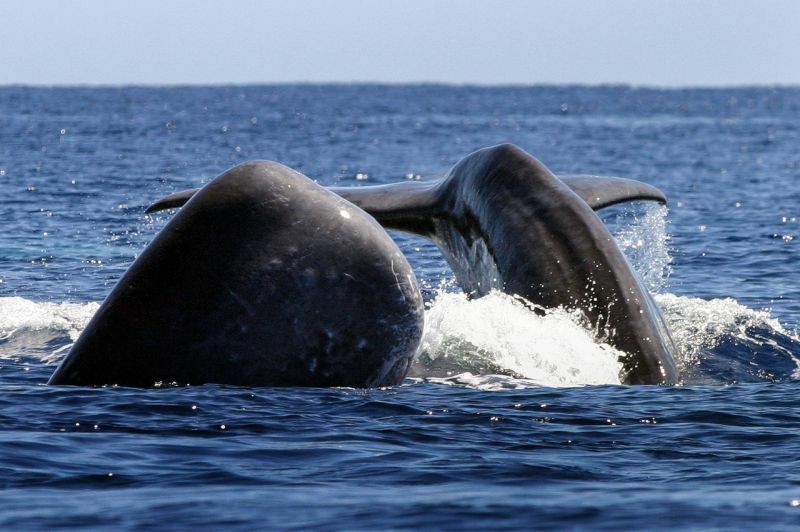 Explore São Miguel on the company’s seven-night walking holiday, Discover the ‘Green Island’, from 1 May to 30 September, from £828pp (hire car and whale-watching excursion included). To find out more, call 01653 617000 or visit their website.